This function allows the users to Track CCA Attendance. Navigate Main Menu > Curriculum Management > Attendance Roster > Attendance Roster By Class. Click on the lookup icon to search for the correct Term value. 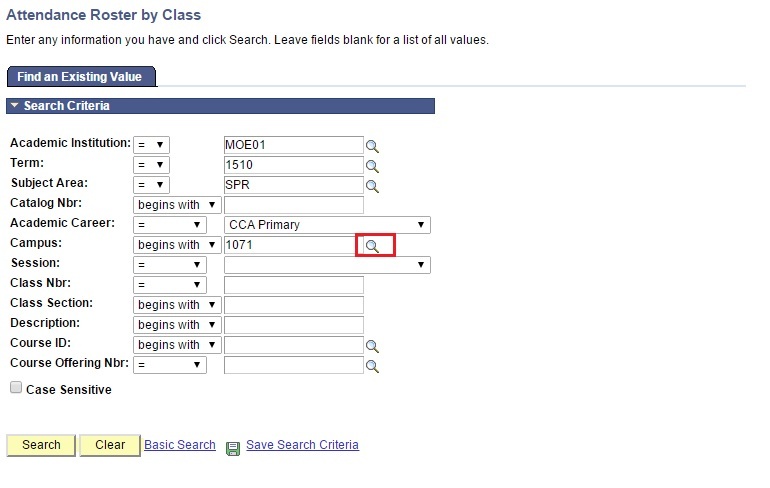 Click on the lookup icon to search for the Subject Area. Acad org should be ‘CCA’. Please refer to data list for CCA subject area details. 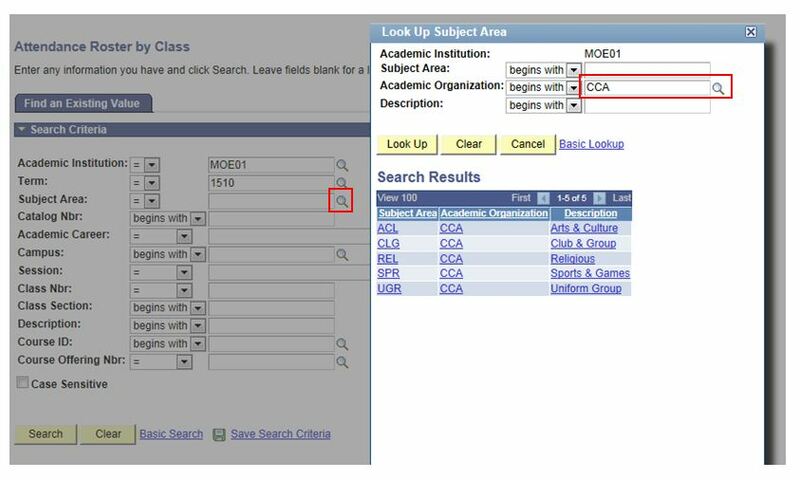 Click on the dropdown list to search for the Academic Career. Click on the lookup icon to search for the Campus. Click on the Session drop-down list. For primary schools, select ‘term1/term2’. For secondary and sixth form, select ‘regular’ sessions. 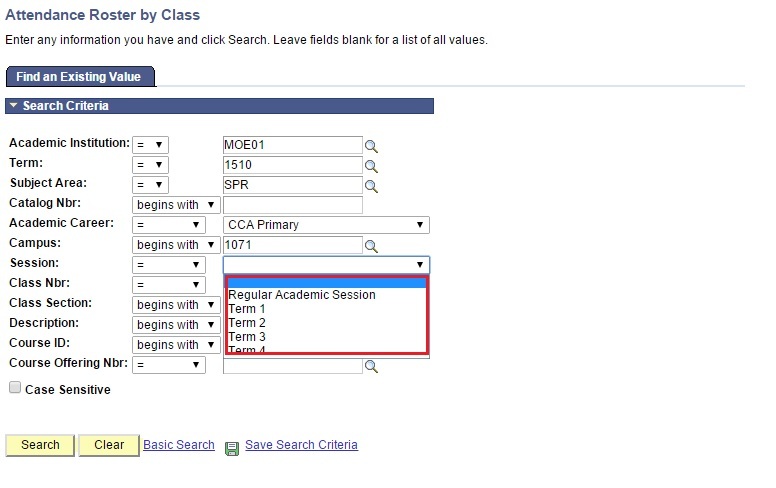 User will be directed to the Attendance Roster by Class page. 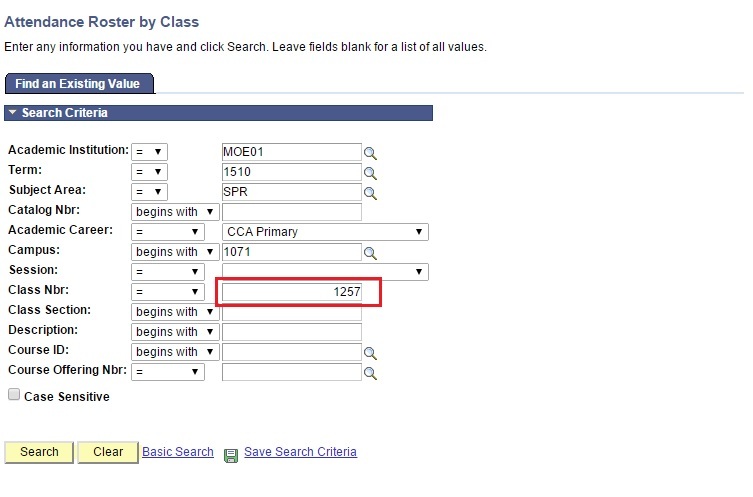 Click on the Generate button to create Class Meetings. 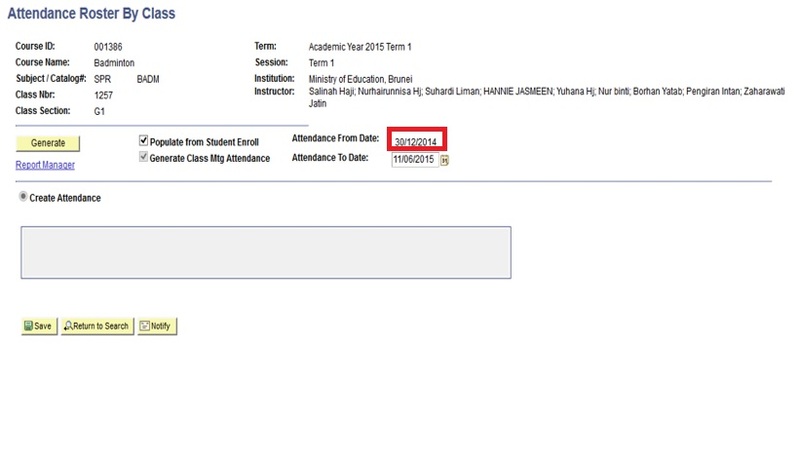 When the Generate button is clicked, it will update the Class Attendance Roster for the period mentioned in Attendance From Date and Attendance To Date. 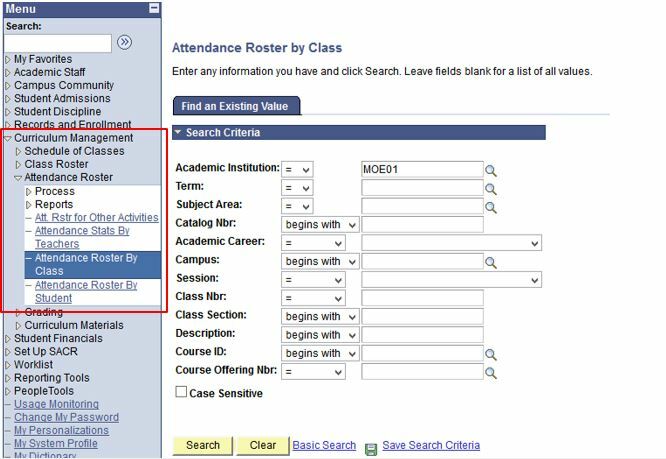 Attendance roster from date is always (current date + 1), which means you can only generate attendance roster for future class meetings. 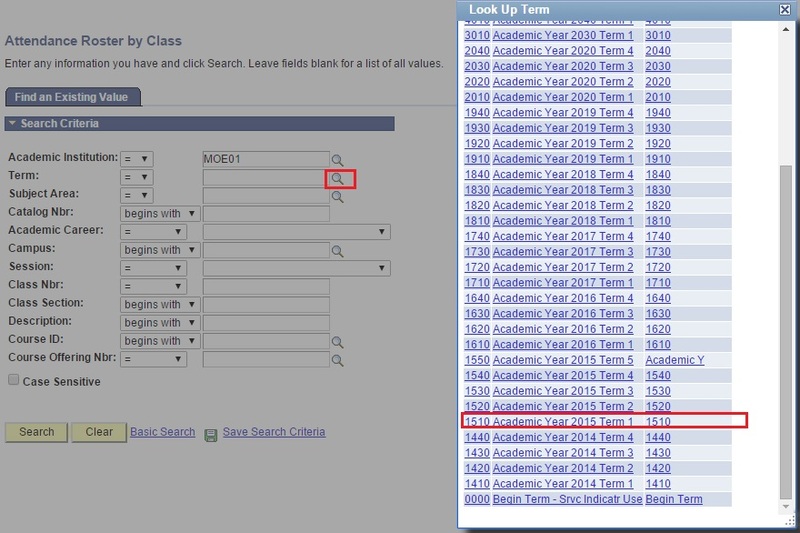 Click on the View button against the date that the user wants to mark the Class Attendance. User will be directed to the Class Attendance Page. If a student is absent, then uncheck the Present checkbox and uncheck Late checkbox against that student. If a student is late to school but considered present, then the Present and Late checkboxes will be checked. If a student is late to school but considered absent, then the Present checkbox will be unchecked and Late checkbox will be checked. Select the Absence/Late Reason if the reason is available. Enter any additional notes into Remarks (subject Teacher) field as the Class Teacher. 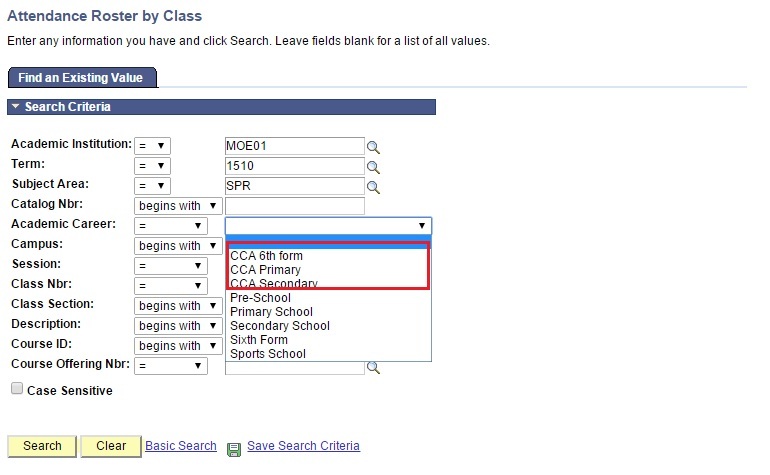 Click on the Save and Return button to save the marking of Class Attendance. User will be redirect to attendance roster main page. Click Save button in attendance roster main page.